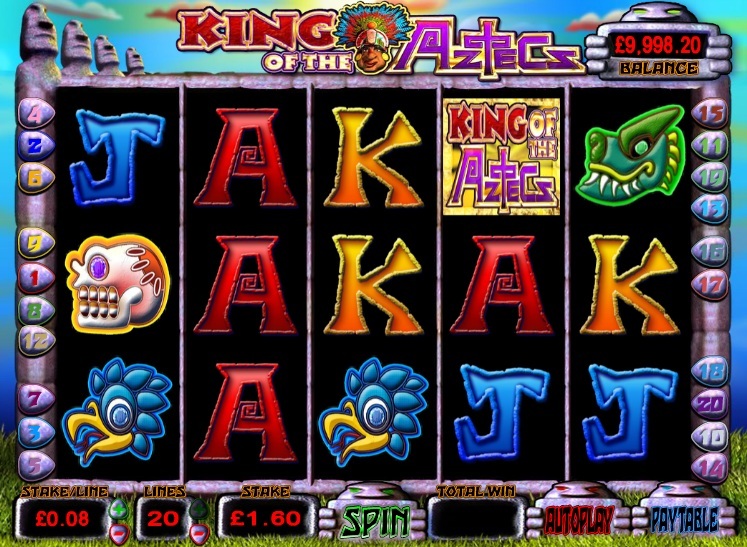 When I heard that the slot game maker Barcrest was releasing the game King of the Aztecs I just had to give it a try. It has been a long time coming, from a company that brought us the popular Irish leprechaun slot – Rainbow Riches Win Big Shin Dig, as well as several others. However, I can't say I am immediately taken by this 5 reel slot, due to some of the features within it. Why the Small Random Rewards? My first issue with the game is that there are random wild reels awarded at any time on the center 3 reels. I have no problem with this in principle, as it can lead to some pretty nice wins, but I just don’t like random rewards unless it’s a very big progressive jackpot. I don’t really see the point of rewarding things randomly, as it defeats the object of the game. Others may feel differently to me, but I just like to know when I am winning. The scatter feature is probably the most rewarding in this game. It is incremental, so if you get 3 of them you will get 2x your stake, 4 with give you 10x and 5 will give you a staggering 200x! Don’t get your hopes up too much, as 5 scatters is very rarely seen. In the short time I have been playing King of the Aztecs, I have only managed to get 4 of them once. The good news is that wilds will substitute for scatters, which can increase your chances of winning big. As I previously mentioned, I am not overly taken with King of the Aztecs, but it is certainly not a bad game. What it lacks in game interaction it makes up for with some decent rewards. 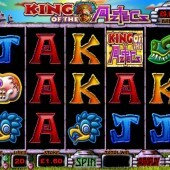 I still prefer other Barcrest slots like the wealthy life of Monty’s Millions or the very playable Ca$hino.